Here they are: The top 10 contenders of SABC3's Presenter Search On 3 - that includes the fastest man on sand. SABC3’s Presenter Search on 3 is entering the next phase of the competition to find new presenters for some of the TV channel’s shows and in Thursday evening’s 8th episode announced the top 10 contenders that include the fastest man on sand. Over the course of the next few episodes the top 10 contestants will be eliminated one by one following difficult TV presenting tasks with the last three who are left who will get contracts to become a presenter on SABC3’s Top Billing, Expresso and Afternoon Express. The contestants will now be put through a series of presenting challenges to test their skills in front of the camera and that will push them out of their comfort zone. Claim to fame: A model and voice-over artist who has appeared in some of the country’s biggest advertising campaigns. Background: He has degrees in economics and econometrics. His style is influenced by his mother, who has her own fashion label that specialises in African prints. He is fluent in French and enjoys spending time outdoors. Fun fact: He is also a Sunday school teacher. Claim to fame: Has been a TV presenter in Botswana where she presented a lifestyle travel show on BTV. Background: She is an entertainment entrepreneur with a passion for women empowerment. She obtained her degree in international relations and psychology at Wits, is passionate about education and in her spare time enjoys reading and cooking. Fun fact: She says she has a photographic memory when it comes to memorising number plates. 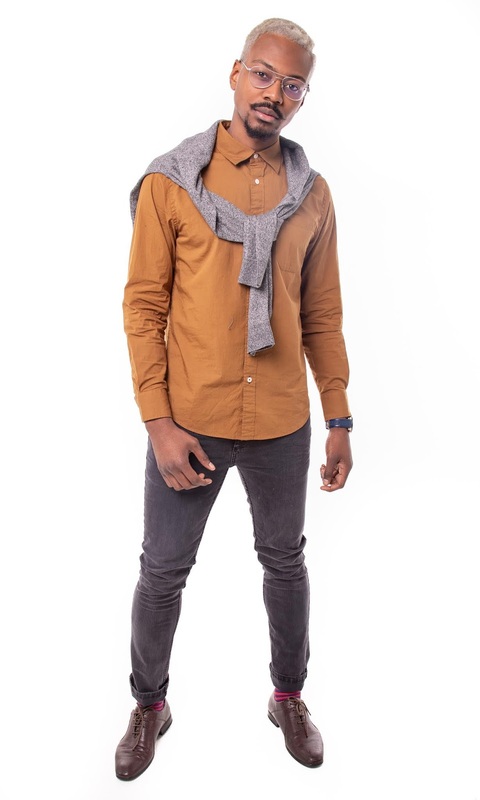 Claim to fame: Started acting at the age of 6 and appeared in SABC1’s youth show, Takalani Sesame. She had a supporting role in 2004’s Academy Award-nominated film, Hotel Rwanda.She currently has her osn show on the urban radio station Massi Metro. Background: She completed her honours degree in film and TV at Wits. Fun fact: She loves impersonations and often impersonates her friends, colleagues and celebrities. Claim to fame: An acting student at Wits. In 2015 he won a scholarship to The New York Film Academy. Background: He describes himself as selflessly devoted to ensuring people have a good time and part-time he organises and manages social events. 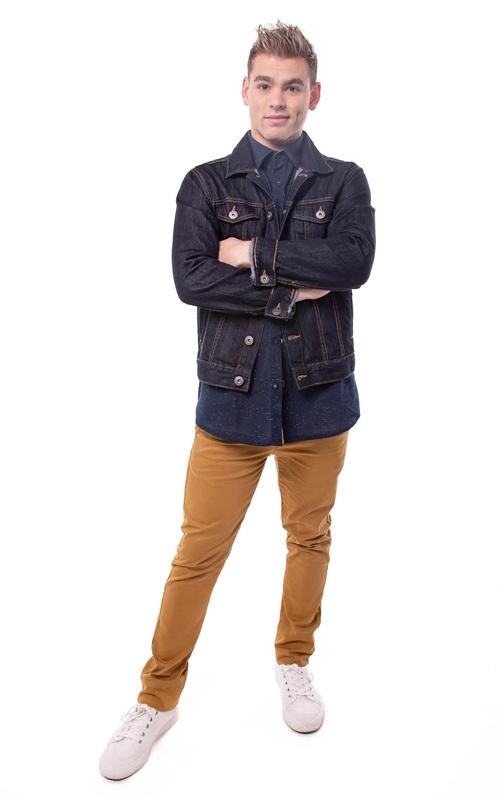 Outside of acting, Shannon is a passionate scuba diver and loves spending time in the water with his dad. Fun fact: He is a a sports fanatic and is obsessed with all things Disney as well. Claim to fame: You might remember him from those JET TV adverts. Background: He’s a medical doctor and chose a career in medicine to have a direct positive impact on the lives of others. 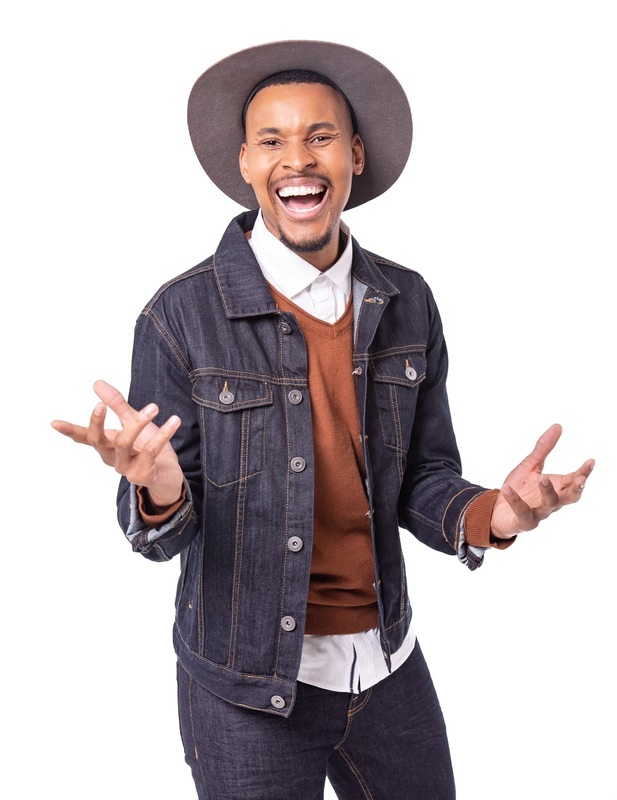 Convinced to audition by his girlfriend, Fezile hopes that being a TV presenter will give him a bigger platform to live out his passion. In his spare time he enjoys reading and shooting hoops at the local basketball court with his friends. Fun fact: He used to be obsessed with playing marbles. Claim to fame: Is chairman of the youth chapter at The Public Relations Institute of Southern Africa. Background: He did his postgraduate in Business Project Management at the University of Cape Town. An entrepreneur at heart, he runs his own brand consultancy in Johannesburg. In his spare time Thabiso enjoys and evening at the theatre, or feeding his adventurous spirit by skydiving or paragliding. Fun fact: Thabiso is a dancer. Claim to fame: She is an actress and Youtuber and uses her YouTube channel to highlight young passionate people who are leaders in their industries. Background: She studied drama and psychology at Rhodes University. She says her family is the most important part of her life and she loves to give back by volunteering at children’s homes in the local community. Fun fact: She is the only girl in a family of four boys. Claim to fame: She’s a social media influencer, lifestyle blogger and part-time student. 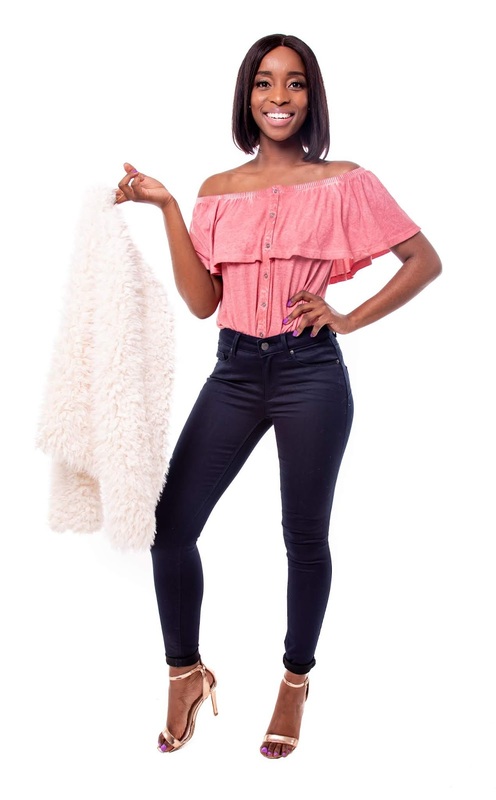 Background: She is working towards her global management accounting qualification and manages her own online platform that empowers women with a range of lifestyle and beauty advice, from fashion tips to make-up tutorials. Laurina lives with her mom and siblings in Port Elizabeth and enjoys spending quality time with them at home. Fun fact: As a YouTube editing wizz she has taught herself everything she knew from scratch. Claim to fame: She is an actress and voice-over artist who have appeared in the SABC1 drama series Amaza. Background: This is a third chance at stardom for Zikhona who auditioned for presenter search both in 2012 and 2015. She enjoys spending time with her two dogs on the beach and is passionate about health and wellness, with a keen interest in yoga. Fun fact: She’s a massive foodie and loves to experiment in the kitchen. Claim to fame: He is officially the title holder of “the fastest man on sand”. He won gold twice at the world championships for beach sprinting. Background: Ryle de Morny is an entrepreneur, model and lifeguard. 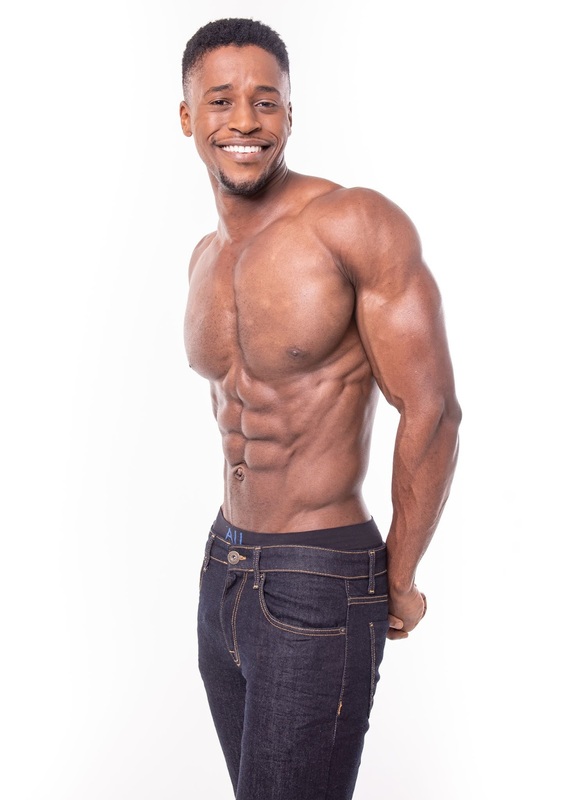 With a passion for fitness, Ryle runs his own company that manufactures customised gym equipment for athletes. He started lifesaving at the age of eight and has been performing weekend duties at local lifesaving club for the past 20 years. Fun fact: Ryle will spearhead Team South Africa’s men’s sprint and flags challenge at the Lifesaving World Champions in Australia this November. M-Net doing The Bachelor South Africa, produced by Rapid Blue; now looking for 25 South African women. M-Net (DStv 101) is doing a version of The Bachelor reality competition series franchise, The Bachelor South Africa, that will be produced by Rapid Blue,and that is now looking for contestants. The Bachelor South Africa will start on Valentine's Day, 14 February 2019, and is now looking for 25 South African women. People who want to enter can submit entries at www.mnet.tv/thebachelorsa that will close on 20 August 2018 at 23:59. "M-Net has always been leading the pack when it comes to high-quality, big-budget reality shows and our hearts are pounding with excitement as we embark on this new journey of love," says Jan du Plessis, M-Net channels director. "We started the reality show craze with Big Brother many years ago and have been able to keep our viewers entertained with local versions of the world’s biggest reality show crowd-pleasers – from talent searches to sizzling cooking competitions and survival games. Our viewers have been craving a show-stopping dating show and we are proud to add The Bachelor, a proven hit, to our reality programming mix." Contestants who want to enter must be over 21 and single – either never married or legally divorced – and must be available for filming between 6 October and 25 November 2018. "Potential entrants may want to know if The Bachelor South Africa is looking for specific qualities," says Donald Clarke, executive producer from production company Rapid Blue, who is producing the show for M-Net. "Do they have to be drop-dead gorgeous, be able to flirt with fire or finesse, have an interesting life story, be an outgoing party girl or be blessed with beauty and brains? The answer is simple: All the single ladies stand a chance! You just need to be ready for romance!" MultiChoice to axe Mo Abudu's EbonyLife TV channel from end of June from DStv in South Africa and across Southern Africa after less than 4 years after ratings failure. MultiChoice is set to axe media mogul Mo Abudu's EbonyLife TV (DStv 165) channel from the end of June from its DStv satellite pay-TV platform in South Africa and several other countries across Southern Africa following lackluster viewership. The dumping of EbonyLife TV comes less than 4 years since the channel was added in South Africa after the female-skewed channel failed to make inroads with South and Southern African viewers. After June EbonyLife TV will continue to be available as a TV channel on DStv in East and West African countries like Nigeria, but is disappearing for DStv subscribers in countries like South Africa, Namibia, Swaziland, Zimbabwe, Zambia, Botswana, Lesotho and Malawi. MultiChoice Africa launched EbonyLife TV in July 2013 on DStv across Africa outside of South Africa, with the channel that was added a year later in September 2014 for South African viewers. The entertainment and lifestyle TV channel, run from Nigeria with Mo Abudu as CEO and executive chairperson, however failed to resonate with South and Southern African viewers with these DStv subscribers who struggled to relate to the heavily Nigerian influenced entertainment programming line-up. The axing will curtail what Mo Abudu launched to be "Africa's first global black entertainment and lifestyle network" that now becomes a regional channel from July. Mo Abudu's EbonyLife TV reps didn't respond to media enquiries TVwithThinus made this week regarding the axing of EbonyLife in South Africa that will stop airing on 30 June. MultiChoice in response to a media enquiry regarding the removal of EbonyLife TV told TVwithThinus that it is "working hard to increase the entertainment value on DStv, specific to each region across Africa. EbonyLife TV resonates the most with our customers in Nigeria, which is why it will only be available there from 1 July". "For customers in areas outside of Nigeria who will no longer receive EbonyLife TV, there are a number of other channels that cover entertainment and lifestyle content aimed at an African audience - 1Magic (DStv 103), BET (DStv 129), Mzansi Magic (DStv 161), SpiceTV (DStv 190), Fashion One (DStv 178 and the Africa Magic channels." SABC appoints Madoda Mxakwe as new CEO, Yolande van Biljon as CFO. 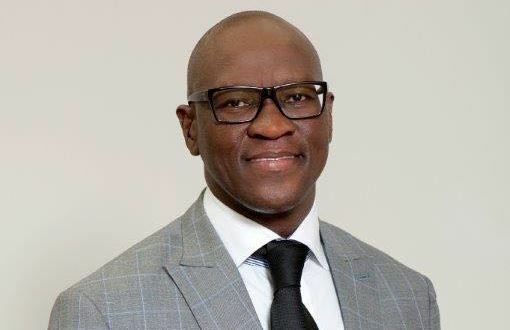 The SABC has appointed Madoda Mxakwe as new CEO – the beleaguered South African public broadcaster's first permanent new CEO in over two and a half years. Madoda Mxakwe that lacks broadcasting management experience, worked for Nestlé in Switzerland as well as in East and Southern Africa as country head, and takes over the gargantuan task of trying to rightsize the crisis-hit public broadcaster plagued by mismanagement and corruption, ballooning debt and the dented credibility of its news service after censorship orders that were nullified by the country’s broadcasting regulator in March 2017. The SABC, waiting on yet another possible government bailout, limped along with acting CEOs the past two years since Frans Matlala left in November 2015, with several other top executive positions that have also been left vacant. Chris Maroleng was appointed as COO from February 2018, Phathiswa Magopeni was appointed as the new head of news and current affairs from March, and the SABC announced that the chartered accountant Yolande van Biljon has been appointed as its permanent chief financial officer (CFO) effective immediately. Madoda Mxakwe will take over the reigns as SABC CEO from 1 July. He has a masters degree in global political economy from Sussex University in the UK and executive leadership development certificates from the London Business School and a PGD in business administration from the Gordon Institute of Business School (GIBS). Bongumusa Mahkathini, SABC board chairperson, says Madoda Mxakwe and Yolande van Biljon’s appointments "affirm our commitment to attract and retain the best skills to take the SABC to greater heights, particularly to address the evolving broadcasting environment enabled by technology and the changing media consumer patterns". He said the SABC board believes the two appointments "will strengthen the organization's position as a credible and reliable public service content provider. As part of the continuous efforts to bring stabiliy, the SABC is in the process of finalising other group executive appointments in order to achieve sound governance in allthe SABC’s business units". The SABC has had 11 CEOs since 2009, including those who were appointed in an acting capacity, with acting CEO James Aguma who was followed by Nomsa Philiso, before the appointment of Madoda Mxakwe. As more black presenters accuse SuperSport of racism, unequal pay, intimidation and victimisation, SuperSport says their concerns have been resolved. Following the Ashwin Willemse on-air studio walkout that shocked DStv subscribers, more black presenters have come forward to accuse SuperSport of racism, victimisation, unequal pay and intimidation - issues that SuperSport claims have been resolved. SuperSport anchors Owen Nkumane, Xola Ntshinga, Kaunda Ntunja and Gcobani Bobo sent a letter through MVMT Attorneys to SuperSport in May accusing SuperSport of discrimination after the Ashwin Willemse incident happened on 19 May. The black SuperSport anchors accused SuperSport in the letter on 28 May of "victimisation, public humiliation, abusive language,intimidation and other inappropriate management", also saying that certain roles at SuperSport "are reserved for non-white pundits". They also made claims about unequal pay, saying white contractors are paid more than black contractors. SuperSport says it addressed the concerns. "We received the attorney'sletter some time ago but agreed with the presenters to investigate the matter and resolve the issues between ourselves," says Gideon Khobane, SuperSport CEO in a statement SuperSport released on Monday evening. "All of those commentators and presenters confirm that racism has not played any role in regard to the concerns raised and resolved." SuperSport didn't want to specify how it resolved the claims of unequal pay, victimisation, public humiliation, abusive language, intimidation and inappropriate management. Owen Nkumane says "we are happy with the way the whole process has been conducted by SuperSport. We have achieved our goals as a collective of a conducive working environment at SuperSport." Black Panther storms the next Wakanda window in South Africa. Marvel’s Black Panther film is digging in its claws and will likely mint even more money as the movie moves to the next Wakanda window in South Africa and Africa: streaming, pay-per-view and DVD sales. The film that smashed records – scoring the biggest opening for a Marvel Studios in South Africa, the third biggest opening weekend ever in South Africa, the biggest opening weekend of all time in both East and West Africa, and that became the all time top-grossing film in South Africa – is now hoping to cash in on the home entertainment window as it exits cinemas. Since last week Monday Black Panther is now available for rental on MultiChoice’s DStv BoxOffice service, as well as on iTunes South Africa. A breathless Cell C in a press release on Tuesday last week, 19 June, was so over-eager to hype Black Panther, that it incorrectly tried to claim that its subscription video-on-demand (SVOD) service, black, has Black Panther "exclusively". "The global Hollywood blockbuster, Black Panther, is back in South Africa amid widespread demand for the hit movie. 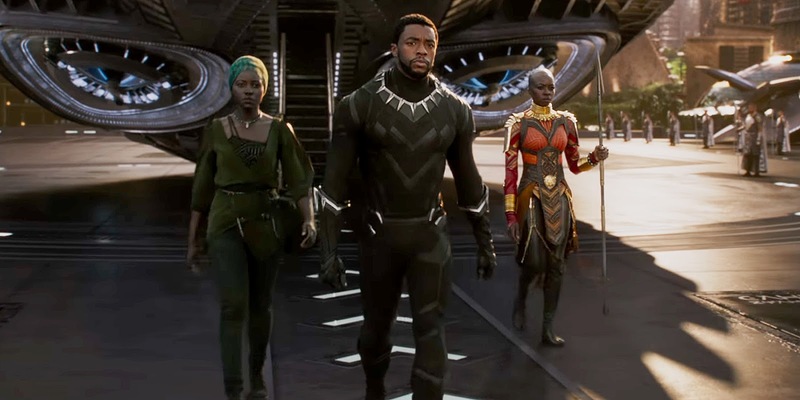 It is now exclusively available on South Africa’s newest entertainment platform, black," said Cell C.
Besides being available as streaming and TV pay-per-view options, T’Challa (Chadwick Boseman) is also available on DVD and Bluray with The Walt Disney Company that is looking to make even more money than the over R107 million Blank Panther already earned in South Africa since its 16 February release in theatres. The Black Panther Bluray release includes bonus material like deleted scenes, a gag reel, outtakes and several making-of featurettes which detail the Black Panther’s evolution, the remarkable women of Wakanda, the history of T’Challa’s proud nation, and the cosmic origin and technological applications of vibranium. Also included are a roundtable discussion with the Black Panther filmmakers and writers; a featurette tracing the countless connections between heroes, characters and storylines within the Marvel cinematic universe and a sneak peek at Ant-Man and the Wasp. Jane Dutton joins eNCA for a new prime time actuality talk show as the TV news channel readies a new studio, new on-air look and a new line-up with a bigger focus on talk television than just news. Jane Dutton is joining eNCA (DStv 403) to anchor a new evening actuality talk show from next month as the local TV news channel that turned a decade old at the beginning of this month readies a new studio, a new on-air look, as well as a rejigged programming line-up with a bigger focus on talk television than just news. 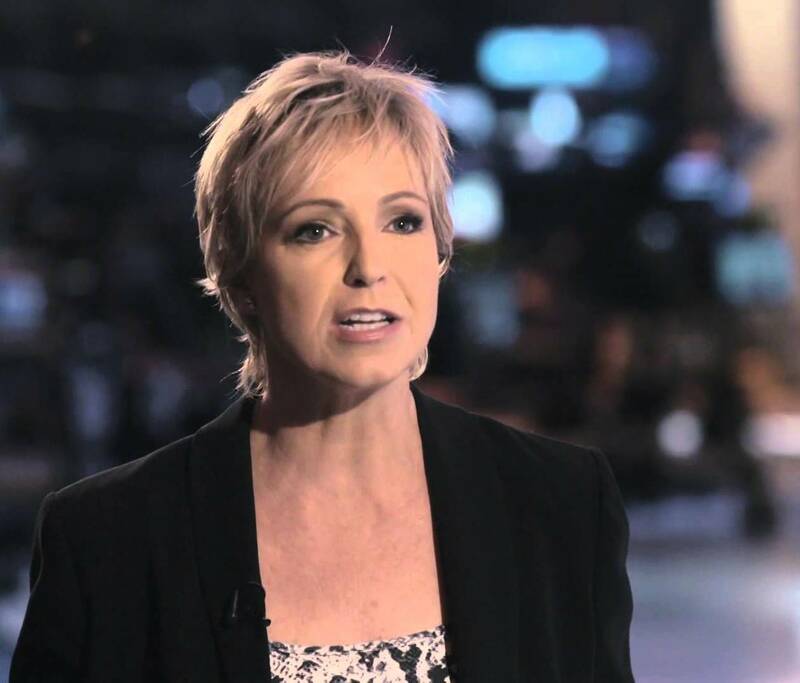 Jane Dutton was the first news anchor of eNews together with San Reddy when e.tv started doing TV news bulletins in 1999, and she left in 2005 before the eNews Channel that eNCA was formerly known as, launched in June 2008. Jane Dutton joins eNCA from Al Jazeera and will front a new live weekday talk show in which she will interview newsmakers about South African current affairs while viewers interact with calls and on social media. The as yet unnamed show will make its debut on Monday 16 July at 20:00 and run on weekdays meaning a reduced runtime of the NewsNight timeslot. "I've been around the world and back again but I suspect coming home to my beloved South Africa and eNCA could prove to be the best adventure yet," says Jane Dutton. "I am delighted that eNCA has given me the opportunity to give back and make this homecoming happen". Mapi Mhlangu, eNCA's managing director and editor-in-chief, says the hope is that Jane Dutton will bring a compelling viewing dynamic as part of eNCA's programming line-up shake-up. "As we celebrate 10 years on air this show will represent just one element of a bigger programming and presenter configuration designed to meet the changing needs of our audience. We have entrenched our position as the country's leading TV news channel over the past decade and Jane's presence will further cement that," says Mapi Mhlangu. 7de Laan goes Orange is the New Black; jail time story promises more shocks and surprises for the female inmates. Viewers are enthralled with the female jail drama that 7de Laan has turned into with several more shocks and surprises in store before the story concludes. The Afrikaans SABC2 weekday soap has taken a page from the Netflix series Orange is the new Black seen on M-Net (DStv 101) and placed several of the female character together behind bars for a very entertaining story. 7de Laan's riveting story that will continue into next week, is similar to the "in jail" story arcs viewers have seen happen before in e.tv's Scandal! that that production did with first the female, and later the male characters. Part of viewers' fun is the on-screen return of the formerly soft and girlie Emma (Bertha le Roux) - jailed a few years back in 2014 and who has now turned into the vicious "Miems", the harsh jail queen ruling her fiefdom behind bars. Meanwhile Mariaan's (Deirdre Wolhuter) husband is concocting a possible escape plan, the evil and pregnant Amanda (Carina Nel) gave birth in jail last week and made as if she's Bonita (Hildegardt Whites) friend, Liefie (Martelize Kolver) is the good/bad jail warden who becomes the victim of the inmates' plans and revenge, and who knows what Natalie (Daniella Deysel) is planning? Of course Vivian is Charmaine's evil twin and a delicious departure for actress Vinette Ebrahim doing something else than running a coffee shop as the unhinged character plots to make Bonita completely crazy. Mix in physical fighting between the inmates, psychosocial drama and whispered threats and viewers have been lapping up the soapy jail storylines. The producers tell TVwithThinus that the idea to put all of the women in jail together originated from wanting to show how in a forced situation, the real character of people are revealed. "Stripped from what protects you, primitive nature emerges. This creates the ideal circumstances for lovely drama, interpersonal dynamics and character development". According to the soap, Danie Odendaal Productions built special sets inside the studio to film all of the jail scenes. "Our set designer Bennie Marais created and built the jail cells to look as realistic as possible," says the show. Asked where the exterior establishing shots were filmed, the show says the art director shot those in and around Johannesburg. "Naturally we were not allowed to film a real prison, so we filmed exterior shots of buildings that looked like a jail from the outside". CBS Television Studios expanding the revived Star Trek TV franchise into mini-series, animation and possible spin-offs with new 5-year deal with Alex Kurtzman. CBS Television Studios is expanding the revived Star Trek television franchise into mini-series, animation and possible spin-off series. The revived Star Trek television franchise currently revolves around Star Trek: Discovery on CBS All Access and seen on Netflix around the world outside of the United States, like Netflix South Africa. 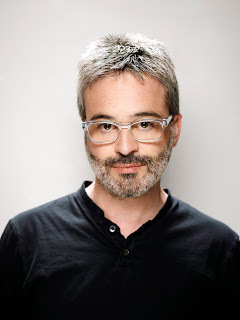 The current Star Trek: Discovery co-creator and executive producer Alex Kurtzman has signed a new 5-year deal with CBS Television Studios to develop the spin-off series and other content. "There is a very short list of writer-producer-directors that every film and television studio wants to be associated with, and Alex and his Secret Hideout team are always at the top," says David Stapf, president of CBS Television Studios in a statement. "His talent, taste and ability to shepherd a successful project is unparalleled. Alex has done remarkable work for our studio, dating back seven years to the launch of Hawaii Five-O, and we are thrilled that he will be partnering with us for a long time to come." Alex Kurtzman says "CBS has allowed us the great pleasure of reintroducing the world of Star Trek audiences new and old, and we are very excited to keep working alongside them to expand that world." Walt Disney agrees to buy Sky News and to keep it running under that name for at least 15 years so that 21st Century Fox can acquire the rest of the British pay-TV operator Sky. 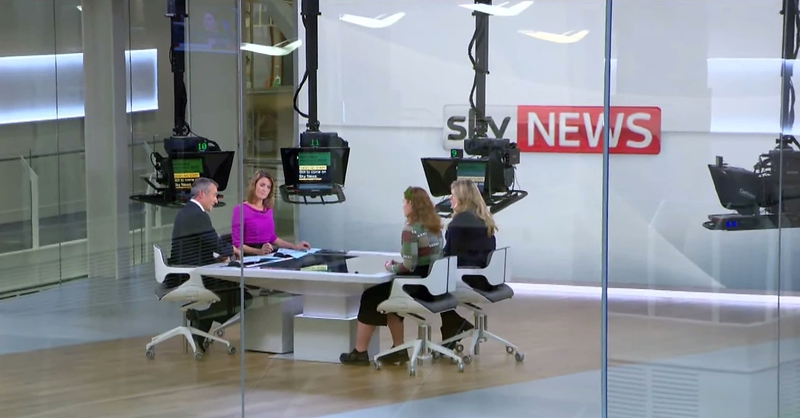 The Walt Disney Company has agreed to buy Sky News (DStv 402) and to keep the British TV news channel funded for at least 15 years to tot tune of over $2 billion during that period, so that 21st Century Fox can possibly acquire the rest of the British pay-TV operator Sky that it doesn't own yet. 21st Century Fox already owns 39% of Sky, but can't get the rest if the loss-making Sky News isn't offloaded to prevent Fox from owning too much news outlets in the United Kingdom. Britain's culture secretary Matt Hancock on Tuesday revealed that Walt Disney in principle had undertaken to buy Sky News. Now the British government has to decide whether it will clear 21st Century Fox' application to buy Sky. Disney has undertook to maintain Sky News as the Sky News brand for at least 15 years if it scoops it up an increase in the total money Disney would plough into Sky News of at least £100 million ($132 million) per year, with operating costs protected in real terms", as well as a commitment from Disney to protect the editorial independence of Sky News. Matt Hancock said he "In my view, these revised undertakings meet the criteria that I set out to the House on 5 June and will help to ensure that Sky News remains financially viable over the long-term; is able to operate as a major United Kingdom based news provider; and is able to take its editorial decisions independently, free from any potential outside influence." 21st Century in a statement on Tuesday said it "welcomes today's announcement by the secretary that he intends to accept the final undertakings proposed by 21st Century Fox and The Walt Disney Company with a view to clearing 21st Century Fox's proposed acquisition of the remaining shares in Sky on media plurality grounds. The undertakings are now subject to a 15-day public consultation". Sky in a statement on Tuesday said "the independent directors of Sky are mindful of their fiduciary duties and remain focused on maximizing value for Sky shareholders. A further announcement will be made as and when appropriate." 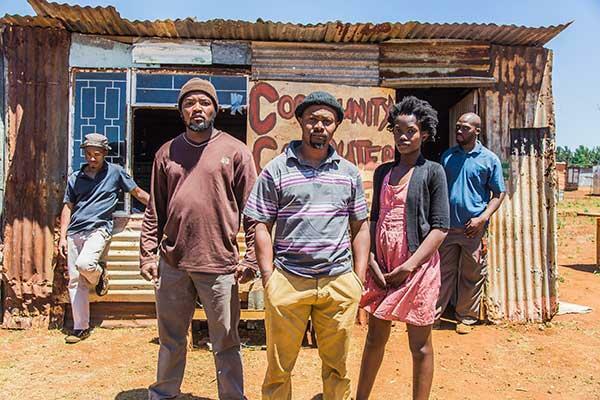 e.tv has Ambitions with Zikhona Bali with its new locally produced land-and-housing drama series set to start on eExtra from 1 July. 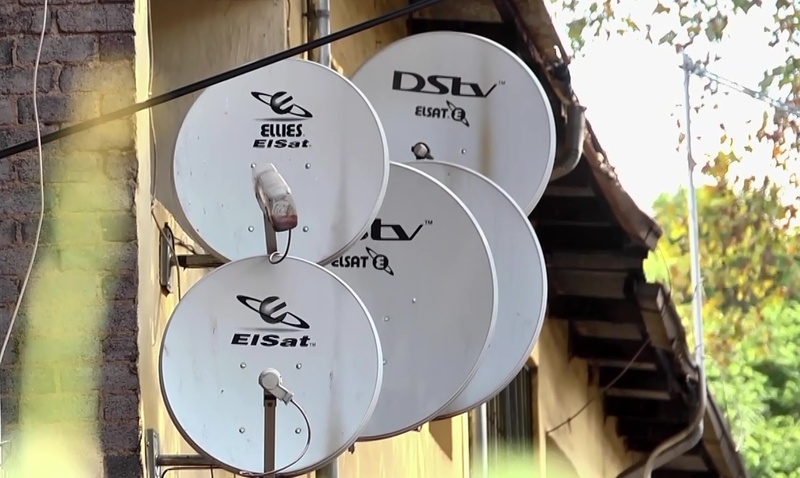 e.tv has Ambitions for a new local drama series to run on its eExtra channel on its OpenView satellite TV platform, that will start on Saturday 1 July at 21:00, with repeats on Wednesdays at 21:30. Ambitions with Zikhona Bali as an ambitious investigative journalist Qhawe Ledwaba makes a shocking revelation that ties into South African renewed current affair issues around land and land expropriation. She discovers that the displaced community of Supingstad are living in squalor on the back on broken promises by the government with the former Scandal! star Kagiso Modupe on e.tv, Nokuthula Ledwaba, Solomon Sebothoma, Yonda Thomas, Peter Sephuma, Luzuko Nteleko and Mary Twala as Gogo Lizzie, part of the cast. Qhawe discovers that the community has yet to receive the housing and facilities promised to them as compensation for their removal from their informal settlement to make way for the building of a new clinic. Similar to e.tv's drama series Hustle that was shunted to the now gone eKasi+ channel on OpenView, Ambitions will run first on eExtra (OVHD 105) with the channel that is also accessible on MultiChoice's DStv on channel 195 and on China's StarTimes Media SA and On Digital Media's StarSat on channel 489. AMC pulls Chris Hardwick's Talking shows from AMC and Sundance TV following abuse allegations. AMC has pulled presenter Chris Hardwick's off the air and suspended his Talking shows from AMC which are seen in South Africa and across Africa on the AMC and Sundance TV (DStv 108) channels following allegations of abuse from one of his ex-girlfriends. Shows like Talking Dead about The Walking Dead and Fear the Walking Dead, and the expanded Talking with Chris Hardwick have been shown on AMC and Sundance TV. AMC in a statement says "while we assess the situation, Talking with Chris Hardwick will not air on AMC". It follows after Chris Hardwick's ex-girlfriend, Chloe Dykstra published a lengthy essay on Thursday last week, claiming that she was subjected to sexual assault during their 3-year relationship. Chloe Dykstra wrote about how she was blocked from going out at night, having male friends or speaking in public places and that she was the victim of sexual and emotional assault by Chris Hardwick. Chloe Dykstra also claimed that Chris Hardwick blacklisted her in the industry and called companies she worked for "to get me fired by threatening to never work with them". In a statement Chris Hardwick says "these are very serious allegations and not to be taken lightly which is why I've taken the day to consider how to respond. I was heartbroken to read Chloe's post. Our three year relationship was not perfect - we were ultimately not a good match and argued - even shouted at each other - but I loved her, and did my best to uplift and support her as a partner and companion in any way and at no time did I sexually assault her". "For several weeks after we broke up, she asked to get back together with me and even told me she wanted to have kids with me, 'build a life' with me and told me that I was 'the one', but I did not want to be with someone who was unfaithful". "I'm devastated to read that she is now accusing me of conduct that did not occur. l was blindsided by her post and always wanted the best for her." 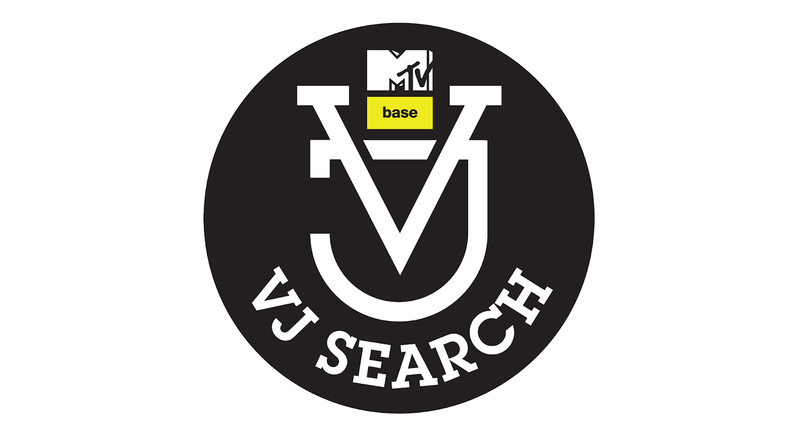 Viacom Africa again running a MTV Base VJ Search 2018 visiting 4 South African cities; winner will get a year long contract to present MTV Base shows. Viacom Africa decided to once again run a MTV Base VJ Search for its MTV Base (DStv 322) channel, with someone who could get as year long contract with the channel. The MTV Base VJ Search 2018 will visit Cape Town, Durban, Johannesburg and East London this year, will the venues and entry dates, as well as the panel of judges that is yet to be announced. The winner will get a 12-month contract as a MTV Base presenter, get the opportunity to present MTV Base shows and interview music stars. Viacom Africa says the next MTV Base VJ is expected to have "a passion for global and African youth culture and music, be authentic and live life in colour". Tshego Koke won the MTV Base VJ Search in 2017 that was broadcast as a talent search series last year and became the presenter of the MTV Base Top 30. "This is an opportunity for young talent to showcase what they are capable of doing," says Monde Twala, vice president for BET, youth and music at Viacom International Media Networks Africa (VIMN Africa). Tshego Koke says "I have definitely learned immensely from this journey, the experience at MTV Base has proved to me that it's worth following your dreams. Everything I thought of and had faith in came about and I learned that when you get here, you'll always need to get to the next stratosphere of life". CNN International and MultiChoice dump the African Journalist Awards, says honouring Africa's best journalists became too big and expensive. CNN International and MultiChoice have decided to dump the African Journalist Awards, the African continent's most prestigious competition for journalists, saying that honouring the best journalism from Africa has become too big and expensive. CNN International (DStv 401) and MultiChoice in response to a media enquiry revealed that they have scrapped the CNN MultiChoice African Journalist Awards that usually takes place in October and celebrated the best of pan-African journalism over the past two decades. The competition held over the past 20 years have seen the number of entries grow rapidly every year as it fostered respect and understanding for journalists and their important work, something that's very often a dangerous and thankless job in Africa. The CNN MultiChoice African Journalist Awards also served as an incentive for various African nations to improve their press freedom laws as they vied to be a host country, gave valuable exposure to a country's local tourism as a large group of journalists from across the continent would annually descend on a specific country, and provided an economic boost for the host city putting up the awards show. The CNN MultiChoice African Journalist Awards didn't take place in 2017 but last year the TV news channel from Turner Broadcasting and MultiChoice Africa said they were reviewing the competition and remained committed to celebrating African journalism. 2017 would have marked the 22nd time that African journalists in print, online, radio and television across Africa would have entered this competition, with winners who get cash prizes and the overall winner getting the chance to visit CNN Headquarters in Atlanta and participating in the CNN Journalism Fellowship. 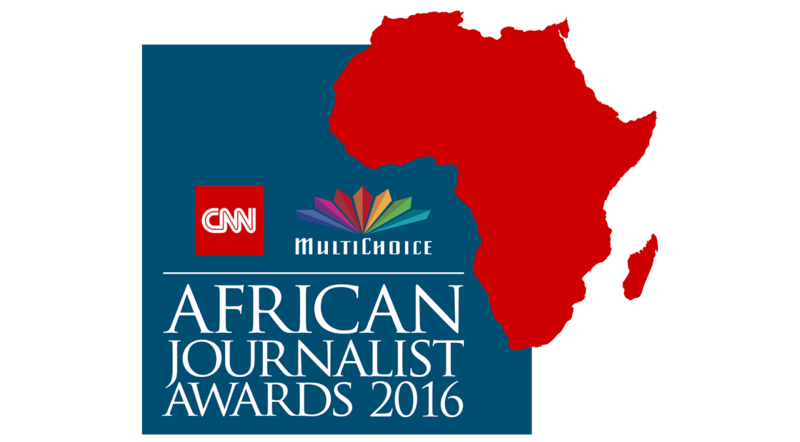 In a joint response in October 2017 CNN and MultiChoice Africa told TVwithThinus that the CNN MultiChoice African Journalist Awards that took place in South Africa and various African countries over alternating years and broadcast on CNN International would not happening last year but that "CNN and MultiChoice are currently reviewing the format of the African Journalist Awards. We are committed to supporting and celebrating journalism across the continent, and we will share details as soon as we are ready". CNN in 2016 said that it is "committed to the African story, not just editorially, but also in terms of supporting its own journalistic enterprise through the CNN MultiChoice African Journalist Awards." The dumping of the competition comes after the death of Maggie Eales (67) in November 2015 from cancer, the CNN executive and former journalist who during her 20 year career at CNN was the driving force behind the development and growth of the CNN MultiChoice African Journalist Awards. In response to a media enquiry from TVwithThinus, CNN International and MultiChoice say that "following a thorough review of the African Journalist Awards, CNN and MultiChoice have come to the difficult decision to not continue the awards" because it became too big and expensive to honour journalism through the competition. "While we remain committed to championing quality journalism in the future, continuing a traditional awards programme of this scale was no longer sustainable. We have been immensely proud to celebrate African journalism through this awards format over the last 20 years and honoured to meet and support the many inspiring young journalists who have since grown and developed their careers over the years." "We thank the many judges, companies and institutions who have supported the awards during this time." According to the organisers the review looked at many options but couldn't find a solution to continue the CNN MultiChoice African Journalist Awards in a way that would bring it up to date and reduce cost while not diminishing its prestige. The axing comes as censorship across Africa is growing while press freedom in several African nations are eroding, ranging from a crackdown on not just traditional media outlets like newspapers, radio stations and television news being shut down but also general entertainment content on TV channels being censored and draconian new laws to limit and tax ordinary citizen's use of social media, and forcing bloggers to register and pay exorbitant registration fees. 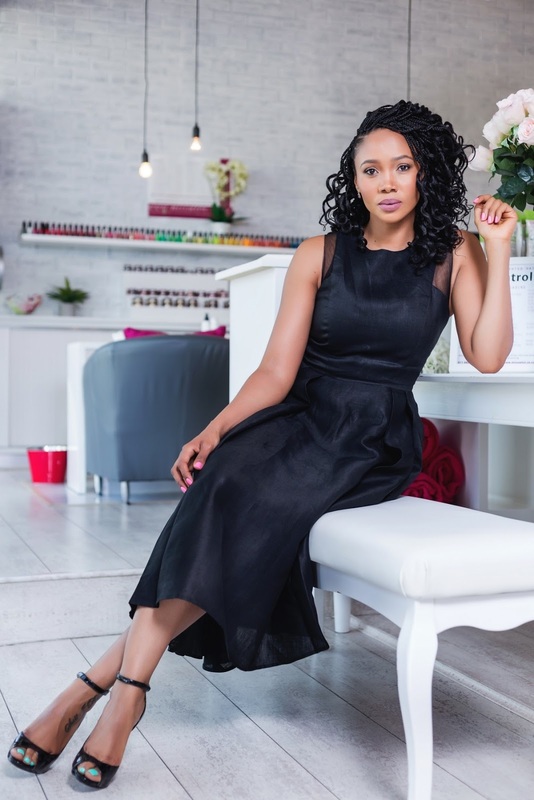 Azania Mosaka taking over SABC3's weekday talk show, Real Talk, from Anele Mdoda; first guest will be Bonang Matheba. 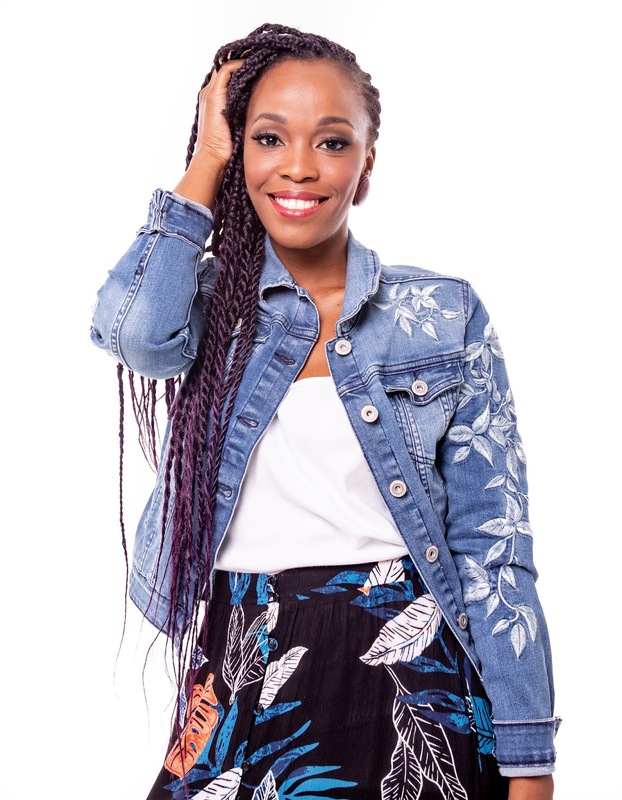 Azania Mosaka is taking over as new presenter of SABC3's weekday talk show, Real Talk, replacing Anele Mdoda from Monday 18 June. Anele Mdoda abruptly bailed on the talk show, produced by Cheeky Media, after her return to the show following a break earlier this year, during which Azania Mosaka was the sit-in replacement. 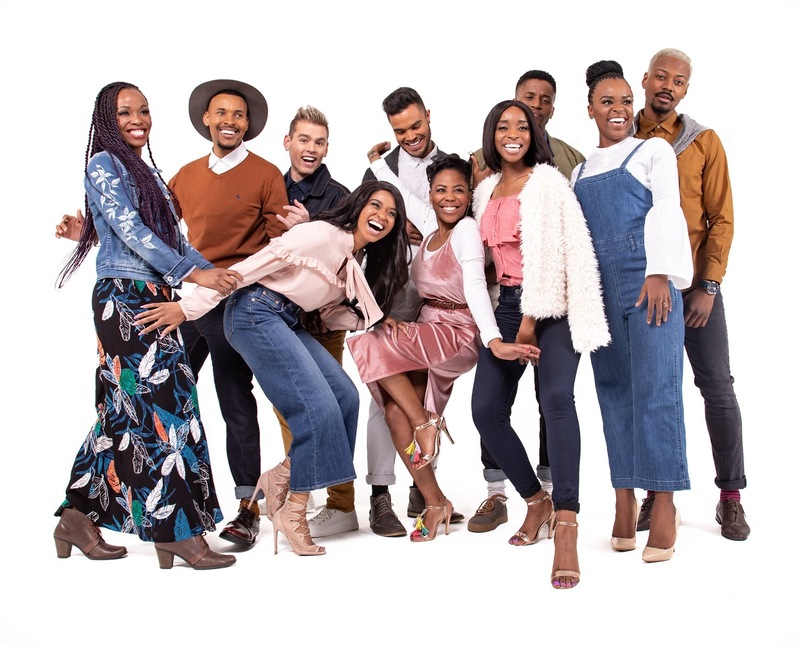 Cheeky Media has a contract until October with SABC3, with Anele Mdoda's exit that left producers scrambling to find a replacement. Monday's first guest with Azania Mosaka as the new talk show host will be Bonang Matheba. There's no explanation yet for why Anele Mdoda abruptly decided to jump ship after less than two years as SABC3 talk show host. Following a sudden break in April with Azania Mosaka who filled in, Anele Mdoda says Real Talk is no longer part of her "career ambitions". 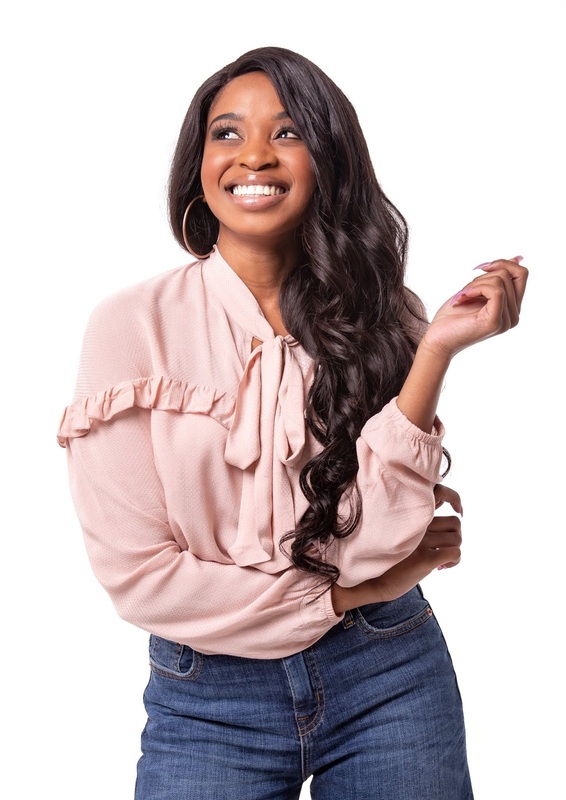 The show's ratings however tanked following huge damage to both Real Talk and Anele Mdoda's credibility, trust and brands after January's scandal in which it was revealed that payment was made for people to appear on the show, essentially turning it into an infomercial - something that was never disclosed to viewers. The secret pay-for-play happening on Real Talk breached the SABC's editorial policies and the South African public broadcaster apologised and said it will implement changes to make sure that it doesn't happen again. The damage to the show's credibility under viewers was however done and also reflected negatively on Anele Mdoda, who said she wasn't aware of payments being made and was just an employee. Viewers immediately started to tune out. Despite a later timeslot move since February to 18:00 on weekdays when a larger potential viewing audience is available, Real Talk's viewership tanked. While Real Talk still pulled a low 441 795 viewers for its most watched episode in January to claim the 13th place on SABC3's Top 20 most watched list for that month, the sinking show completely dropped out of the Top 20 list in the months since. Speaking about Azania Mosaka stepping in to replace Anele Mdoda, SABC3 channel head Aisha Mohamed says "we trust that her contribution and enthusiasm will add value to the SABC3 brand as well as take Real Talk to new heights". Azania Mosaka says "programme managers have believed in me and I dared to do it and this challenge will be no different". 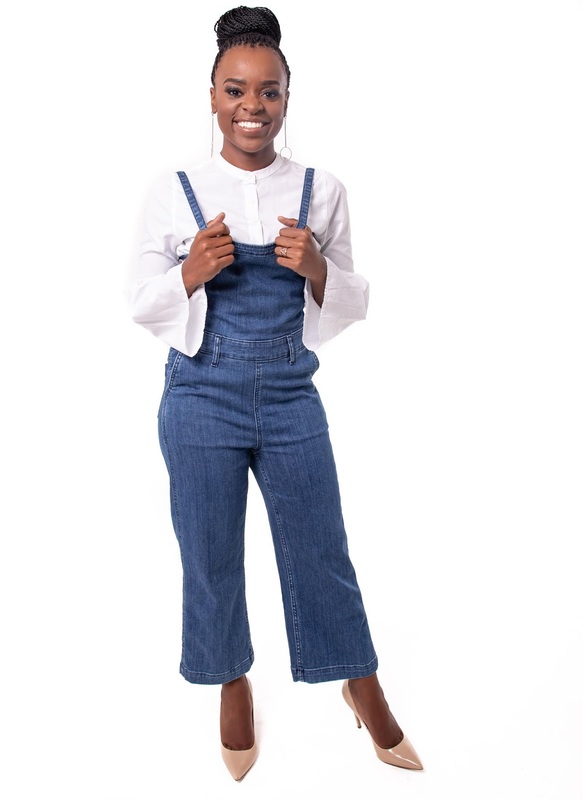 "By taking on this unexpected opportunity of hosting Real Talk, I aim to engage in conversations that encourage people to dream, motivating young girls and young women as we reinvigorating the audience while reminding them of their hopes and aspirations." Yusuf Stevens, Cheeky Media managing director, says "Azania is joining an award-winning team and we are very excited about what she will be bringing. Having worked with her briefly before, we know that her humility, passion, empathy and grace will be well-received by our audience and we look forward to putting the 'real' back into Real Talk. Azania was born to be in front of the camera." 2018 FIFA World Cup: TV schedule disruption, coverage plans of the SABC, SuperSport and StarSat, and where to watch what. South African TV viewers will once again experience disruption to their SABC TV schedules due to the 2018 FIFA World Cup starting today, with shows disappearing and several moving channels and timeslots, while SuperSport and StarSat are both bringing pay-TV subscribers coverage of the global tournament over the next few weeks in addition to the SABC. 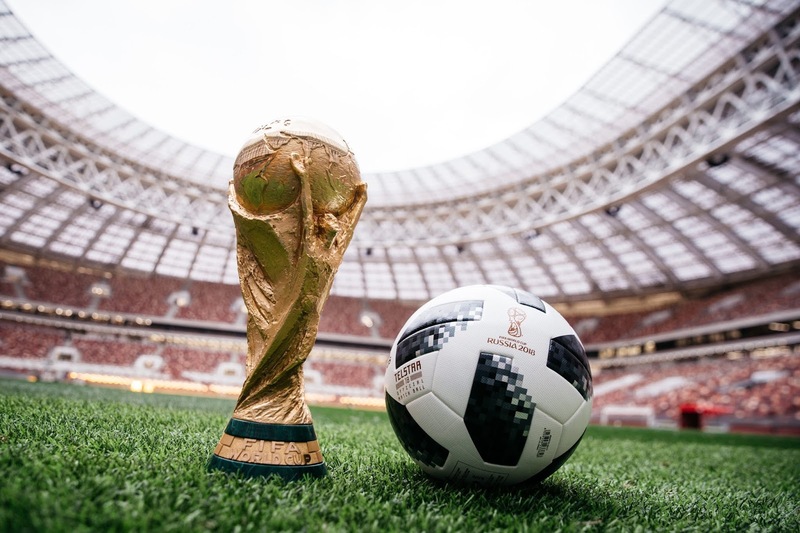 The SABC is once again forced into schedule disruption of its 3 terrestrial TV channels to accommodate coverage of the FIFA World Cup, with SuperSport rolling out some additional new programming and StarSat letting South Africans stream-watch the tournament through its mobile app. The SABC has allocated SABC1 for FIFA World Cup soccer matches and match highlight programming. Skeem Saam and Uzalo move from SABC1 to SABC2 from Friday 15 June until Friday 13 July on weekdays at 18:30 and 20:30 respectively. Generations - The Legacy moves from SABC1 to SABC3 on weekdays at 20:00 from 14 June. Sport at 10 and Soccerzone will broadcast an episode each on 4 and 9 July.These shows will be shelved for 4 weeks, returning to SABC1 on 16 and 18 July. The current affairs programmes on SABC2, Leihlo La Sechaba, Ngula Ya Vutivi and Zwa Maramani are being shelved for the duration of the World Cup and won't be broadcast. The Afrikaans TV news and Sesotho TV news bulletins are both being truncated and the shortened 15 minute bulletins will be broadcast between 20:00 and 20:30 on SABC2. On SABC3 on Mondays Cleveland Hustles moves from 19:30 to 20:00. The Amazing Race moves from 20:30 to 21:30. On Tuesdays The Man Cave VI moves from 19:30 to 20:00 and Top Chef Junior from 20:30 to 21:30. On Wednesdays on SABC3 Neill Anthony Private Chef moves from 19:30 to 20:00 and Don't Tell the Bride moves from 20:30 to 21:30. On Thursdays on SABC3 The Scoop moves from 19:30 to 20:00 and Presenter Search on 3 moves from 20:30 to 21:30. On Fridays on SABC3 Fundi's moves from 20:30 to 21:00. On SABC1, Thomas Mlambo, Andile Ncube, Lebo Motsoeli and Romy Titus will be the public broadcaster's TV anchors during the tournament, with analysts Siphiwe Mkhonza, Phumudzo Manenhze, Marc Lewis, Duane Dell'Oca, Teko Modise, Doctor Khumalo, Jomo Sono, Rhulani Mokoena, Steve Khompela and Pitso Mosimane. On radio the SABC will for the first time broadcast FIFA World Cup commentary to the Khoi and San communities in South Africa in the !Xun and Khwe dialect on XK-FM. SuperSport and MultiChoice didn't issue a press release regarding FIFA World Cup coverage plans, but the sports broadcaster that will have high definition coverage of the tournament will use Robert Marawa, Carol Tshabalala, Neil Andrews and Andy Townsend as its main presenters. Matches and other programming will be shown on SuperSport 3 (DStv 203) until 15 July, as well as on a 24-hour World Cup channel on MultiChoice's DStv satellite pay-TV platform. Language options will include English, Portuguese, Pidgin English, Swahili, Zulu and Sesotho. Analysts who will do some coverage on SuperSport for the tournament include Yaya Toure, Jay-Jay Okocha, Dwight Yorke, Phil Neville, Gianfranco Zola while local and African analysts Samson Siasia, Shaun Bartlett, Gavin Hunt, Andre Arendse and Benni McCarthy will also appear. SuperSport will be doing some additional soccer programming including the lifestyle magazine show From Russia with Love with presenters Minnie Dlamini and Thato Moeng and a daily hourlong news show on weekdays at 19:00 on the SuperSport Blitz channel anchored by Julia Stuart and Crystal Arnold. FanFest on Saturdays at 10:00 on SuperSport 3 will be simulcast on Mzansi Magic (DStv 161) with Julia Stuart with a Nigerian version of FanFest shown at the same time in Nigeria with Mozez Praiz as presenter. Master Plan that will be broadcast twice weekly on SuperSport 3 with presenter Andy Townsend will cover strategic and tactical analysis of games and players and Insights with Phil Neville will interview ex-football players. Matches and other related programming of the 2018 FIFA World Cup will also be shown on StarSat for the first time - China's StarTimes Media SA and On Digital Media's (ODM) satellite pay-TV platform in South Africa that forms part of the wider StarTimes group. Matches will be broadcast on StarSat's Sports Premium channel, with additional coverage on the Sports Arena channel. The FIFA matches can also be watched and live streamed in South Africa through the StarSat app for mobile devices by looking for the Sports Premium channel which is one of the StarSat channels that are streamed through the StarSat app. Fox Sports Africa partners with Sun International in a 2-year deal to hold and broadcast a series of pan-African boxing events on Fox Sports. Fox Sports Africa through Fox Sports and Sun International have decided to partner up in a multiyear agreement - the cost of which was not disclosed - for a series of World Boxing Association (WBA) boxing events that will be staged at Sun International venues throughout South Africa and be broadcast on Fox Sports, available on StarSat and Cell C black. The partnership will mean that pan-African title fights will be broadcast live on FOX Sports over a 2-year period, with boxers who will compete for various WBA pan-African titles. The partnership between Fox Sports and Sun International will start with an event at Sibaya Casino and Entertainment Kingdom on 27 June with Carnival City that will be next on 20 July. "For those of us who have been long-term believers in the enormous potential of African boxing, this corporate partnership between two dynamic companies heralds great times ahead for the sport on the continent and for its boxers, says boxer Stan Christodoulou who was inducted into the International Boxing Hall of Fame in Canastota, New York in 2004. Eugene Boniface, the group manager for content at Sun International says "we see this partnership as a great opportunity to promote boxing in the region and to ensure that the sport regains its former status as one of the continents most loved sports, delivering world revered champions". Kyle De Klerk, business and commercial director at Fox Sports Africa says "through our Africa boxing events, we are positive about unearthing future world champions whilst profiling the boxers and host locations to a global audience". MultiChoice to SABC: Hands off our DStv subscriber information, says SABC TV Licence an old, outdated regulation. MultiChoice is adamant that the South African public broadcaster will never get its hands on the DStv subscriber information of the millions of the Naspers pay-TV operator's customers - and neither will MultiChoice ever tack on the annual SABC TV Licence fee as another line item on subscribers' monthly bills to collect this money on behalf of the SABC. The SABC's TV Licence fees collection department has been a shambles the past few years. Last month 26 staffers got fired after showing up for work this year during a period of an unprotected "go-slow" during which they did nothing. The SABC board told parliament last week that due to the go-slow that started on 12 February, SABC Licence fee call centre staffers would "show up for work but did not answer incoming calls and closed off their phone lines" so that the public couldn't get through with billing and other queries or issues about payments. Communications minister Nomvula Mokonyane revealed that the SABC is owed a staggering more than R25 billion (R25 588 801 443) in outstanding SABC TV Licence fees over the past three years. Less than a third of South African TV households pay their SABC TV licence. The SABC has just over 9 million TV licence holders of which only 2.6 million have paid in full by April 2017 and wrote off a massive R4.5 billion due to "invalid" accounts in the 2016/2017 financial year. On Monday night a caller, Lorraine on SAfm, told Chris Maroleng, SABC COO, that "there's a lot of confusion under a lot of people about who collect TV Licence payments for the SABC out there. Is it the SABC itself or third-parties? People have been continually harassed by debt collectors." Twice in the past the SABC in parliament over the past decade - first in July 2009 and then in May 2017 - made suggestions that companies like MultiChoice, M-Net and others should be compelled to collect the SABC's TV Licence fee on the public broadcaster's behalf, and that the SABC wants MultiChoice to share its DStv subscriber information. The former acting SABC CEO, James Aguma, now gone under a cloud, last year shocked parliament when he said the SABC wants the Broadcasting Act changed so that the TV Licence fee is expanded to include more viewing devices like computers, cellphones and tablets, and that DStv should collect SABC TV licence fees on behalf of the SABC. Recently the SABC's latest board told parliament that it is once again investigating alternative new ways around the collection of SABC TV Licence revenue. In an interview with Calvo Mawela, MultiChoice South Africa CEO, TVwithThinus asked him to clarify MultiChoice's stance on whether it will give the SABC access to DStv subsriber information, or bill subscribers for SABC TV Licence fees and pay that over to the public broadcaster. "No. Let me confirm, the law is very clear on information that can be shared and cannot be shared, and that information cannot be shared with anybody without the consent of the subscriber directly." "But let me just touch on TV Licence: TV Licence is an old regulation that was done years back when people only consumed content through a TV and therefore you used a TV Licence to be able to support the public broadcasting mandate." "What we have seen all over the world is that they recognise that people no longer use a TV set to view content and therefore it's irrelevant in this day and time. What many countries have tried to do is to link it either as a public service mandate - that the population of a country need to recognise that the public broadcaster is providing a good service in terms of its public mandate." "And they've proposed things like paying through tax - so all the tax payers go through a staggered way of payment, where the highest earners pay a little bit more than those that earn less." "Other countries have used the electricity bill to be able to get money that goes to assist in serving the public mandate." "Our view is that that discussion is no longer relevant in this day and time. What we shall be discussing is how do we assist the public broadcaster in fulfilling its mandate because consumption has moved from TV to other means of getting access to content," said Calvo Mawela. "Therefore it's no longer about the means of getting the content, it's about how do we assist the SABC to fulfill its public mandate". Netflix and ill: The dangers of binge-watching includes chronic fatigue, over-eating, insomnia and a weakened immune system, while zombie show The Walking Dead makes you want to ... feed! Love watching endless episodes at a time through Netflix, Showmax, Amazon Prime Video or Cell C black? Several research studies have now found that this relatively new phenomenon of binge-watching TV series can wreak havoc on the immune systems and the body's ability to fight off colds and flu, while bingeing on episodes of the zombie show The Walking Dead ... makes you feed! The new daily habit that a lot of TV viewers are indulging in more and more, can have a debilitating impact on the body's immune system. Nicole Jennings, spokesperson for Pharma Dynamics that provides colds and flu medication, says the relatively new phenomenon of being able to watch an entire TV series all at once, as opposed to waiting a week for an episode, has sparked several studies that attempt to understand how binge-watching is impacting our health. According to a paper published in the Journal of Clinical Sleep Medicine, people’s addiction to watching TV series can lead to chronic fatigue, which has a damaging effect on immunity. "According to the study, over half (52%) of binge-watchers viewed three to four episodes in one sitting, with an average session lasting three hours. If one considers that most of the watching occurs in the evening, that doesn’t leave much shuteye. Binge-watchers also reported more fatigue and insomnia and had 98% more chance of having poor quality sleep than those that limited their screen time," says Nicole Jennings. “Watching TV in a dark room for hours on end can really mess up our circadian rhythm - the cycle that regulates physiological processes - and disrupts sleep-wake cycles." "The blue light emitted from TVs, PCs, laptops, smartphones and other devices can also reduce the production of melatonin, a hormone that promotes sleep." "Poor sleep in general is associated with lower immune system function and a reduced number of antibodies or killer cells that help to fight germs," she says. "Adults need between seven and nine hours of uninterrupted sleep every night in order for the immune system to function optimally. You can still enjoy watching TV, but try to avoid a binge too close to bedtime," she recommends. Research by Cornell University’s Food and Brand Lab found that action-packed shows, such as The Walking Dead on FOX (DStv 125 / StarSat 131 / Cell C black 201) for example, made participants eat twice as much (98%) than others who watched milder content like talk shows. Those that watched depressing shows, like the science fiction drama, Solaris for example, also ate 55% more than participants who watched positive, upbeat programmes. 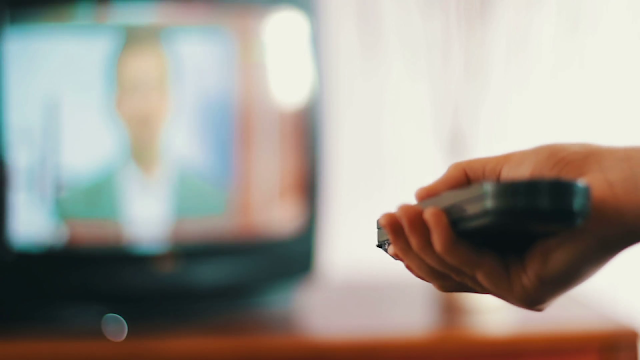 According to the researchers, action and adventure shows may encourage viewers to eat more, because viewers subliminally try to keep up with the pace of the story. Stress and anxiety experienced during a show also leads to comfort-eating. Nicole Jennings points out that although it’s easier to order in pizza than pausing your show for an hour to cook a nutritious meal, junk food really upsets the immune system. "Fatty, fried foods increase bad cholesterol and can cause inflammation, leading to reduced immunity, while sugar can hinder the body’s ability to produce germ-fighting white blood cells that destroy foreign pathogens." "Watching your favourite characters drink a beer or smoke a cigarette might also trigger a craving for these substances, which have been proven to lower immunity. If you're planning to watch a TV series, rather put out cut-up fruit and vegetables or low-carb meals and healthy drinks on the table," she says. Furthermore, sitting in the same position while watching hours of TV series not only contribute to deep vein thrombosis and the formation of fatal blood clots, but also increase one's risk of respiratory tract infections (RTIs) such as a cold, sinusitis or tonsillitis, most likely as a result of lowered immune function. A study conducted by researchers in the US found that staying physically active nearly halved the odds of catching cold viruses, and even those that did fell ill, didn't suffer too badly. Nicole Jennings suggests that instead of sitting on the couch, TV addicts should consider watching a series on their cellphone or tablet while walking on the treadmill, stationary bike or rowing machine. "There are different ways to make the occasional marathon TV session healthier, but moderation is key."